Friends of slain Singaporean student Meena Narayanan have paid tribute to the 27-year-old, who was found dead in a Brisbane hotel on Tuesday. Ms Narayanan – who was studying her masters course at QUT – died from stab wounds at Travelodge Upper Mount Gravatt. 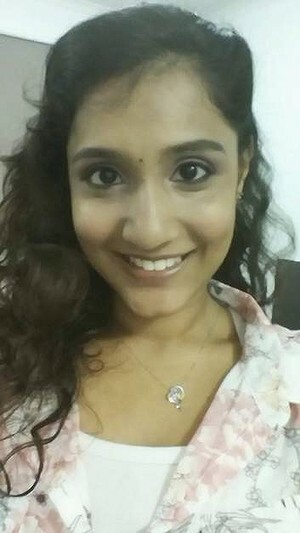 Senthill Kumar Arumugam, a 31-year-old who is reportedly an Indian national who flew to Australia from South Africa, was formally charged on Wednesday with her murder. Social media tributes for the Singaporean woman flowed on Wednesday, as shocked friends heard the news of her death. Two friends who studied with Ms Narayanan at Singapore’s Temasek Polytechnic described her as a “smile-filled person” and “very bubbly”. An emotional Paul Louis Liew said he had known Ms Narayanan for more than a decade. He said they had grown close during the last seven years, and regularly chatted on Skype to catch up. “I don’t think I can ever put Meena’s life into words,” he said. 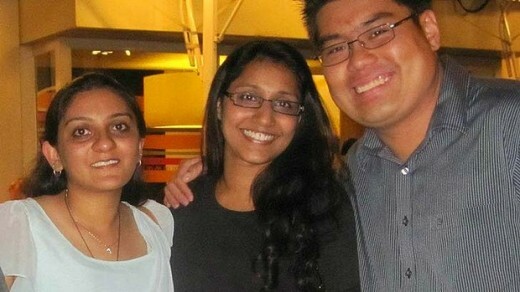 Mr Liew, who now lives in Adelaide, said word started to filter through of Meena’s death on Tuesday afternoon. “I couldn’t believe it so I kept calling her continuously for two hours, hoping she would pick up the phone. If I gave her numerous missed calls, she knows it is critical and she would call back. But after waiting for an hour or so I realised something was going terribly wrong,” he said. Another friend, Nishita Dhulia, said Ms Narayanan’s death was “too shocking and sudden to accept”. “She is one person who is a very determined person, a very strong woman…She may have had ups and downs in her life, but she always pulled through and became stronger,” Ms Dhulia said. While some media reports have suggested Ms Narayanan and Mr Arumugam were due to have an arranged marriage, Mr Liew and Ms Dhulia said she hadn’t spoken about it. Mr Arumugam is currently in hospital with suspected self-inflicted stab wounds. He remains under police guard. He is due to face the Brisbane Magistrates Court on May 5 for a mention hearing.